Search Engine Optimization (SEO) is critical for maximizing the visibility of a website. 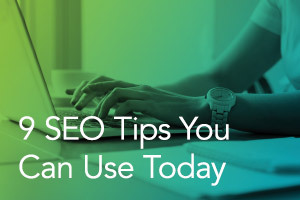 Will Rodgers, Q2’s Director of Web Services, shares nine important steps FIs can take to increase their organic search results. Learn more about these efforts, which include creating dynamic, effective content; maximizing the use of links and meta descriptions; identifying reputable third-party vendors; leveraging useful tools, and more.